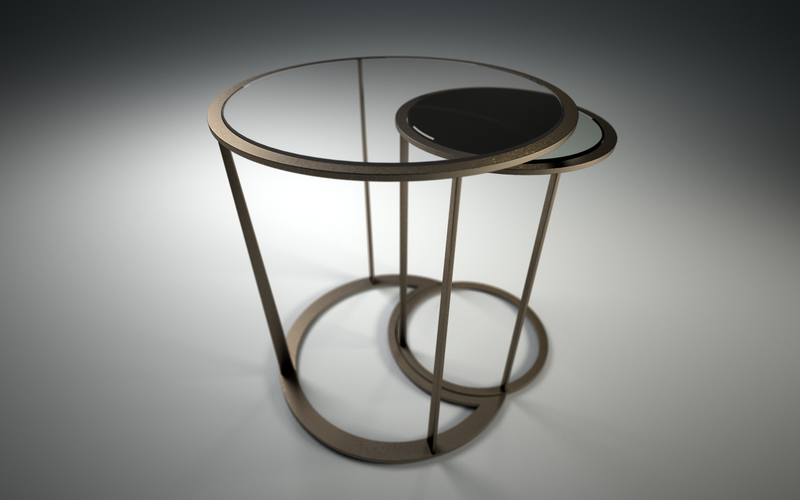 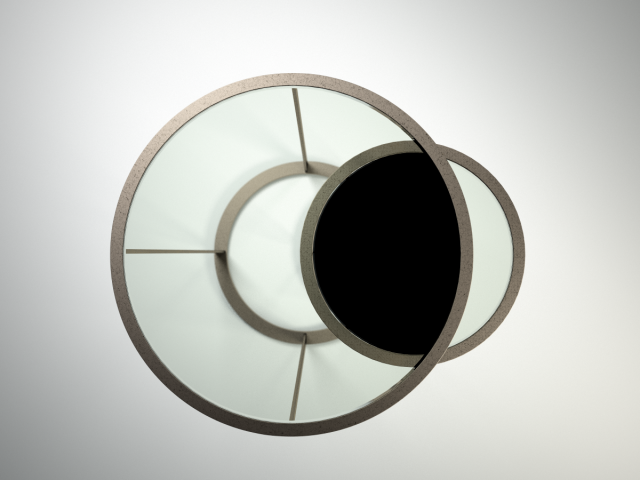 I am currently prototyping a set of nested tables called the Eclipse, manufactured in either a satin finish brass alloy or patinated bronze, and special polarised glass tops – the tables have been designed so that when the smaller table is stored under the larger one, the glass turns black where the two overlap. 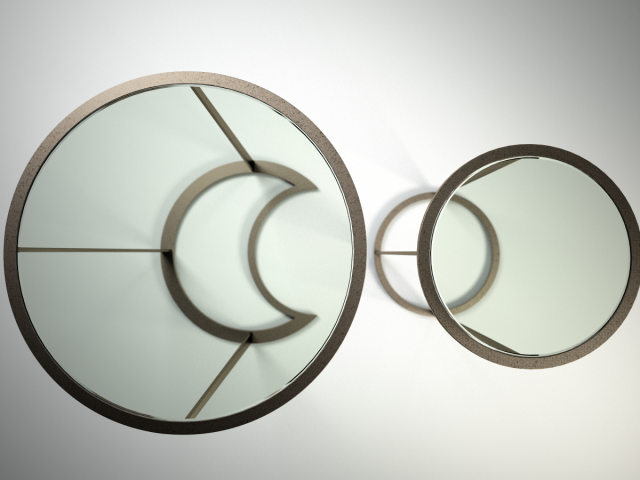 Designed to mimic the moon passing in front of the sun during a solar eclipse, the tables use a special linear polarised film, similar to the lenses in old-school 3d movies (the newer glasses use a circular polarised film) to create the black-out effect. 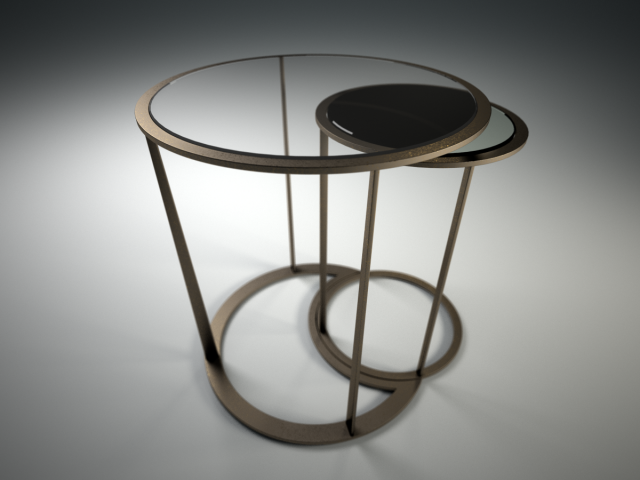 The tables themselves are inspired by the shapes of the Sputnik 1 spacecraft, which were the first man-made satellites, launched in October 1957.